Lanzhou residents are known for their ingenuity. They have created some unique art forms such as the gourd carving. 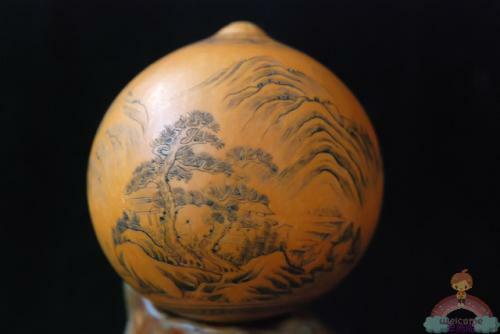 Since the Qing Dynasty (1644-1912 A.D.), people have used needles to etch all kinds of images onto the surface of the gourd, including people, landscapes, flowers and other patterns, usually accompanied by poems or calligraphy. Tourists who visit Lanzhou do not leave without holding a carved gourd in hand.